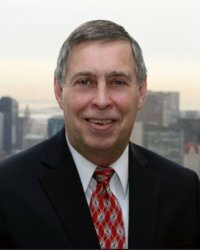 Jack Gay spent 5 years as Senior Manager in Ernst & Young’s Fraud Investigation & Dispute Services (FIDS) Government Contract Services (GCS) practice in Boston, Massachusetts. Mr. Gay has more than 30 years of experience in government contracting, joining EY in January of 2013 following over 27 years spent working for the Defense Contract Audit Agency (DCAA). Jack performs a variety of services to assist clients in contracting with the Federal Government in the areas of accounting, internal controls and contract compliance. These services include assessments of key business systems, analyses of indirect rates and cost allocation plans, review and preparation of policies and procedures, assessments of labor timekeeping, research and analysis of Cost Accounting Standards (CAS) related issues, disclosure statements, proposals and resolution of disputes involving CAS and Federal Acquisition Regulations (FAR), as well as contract case law research to support client positions.